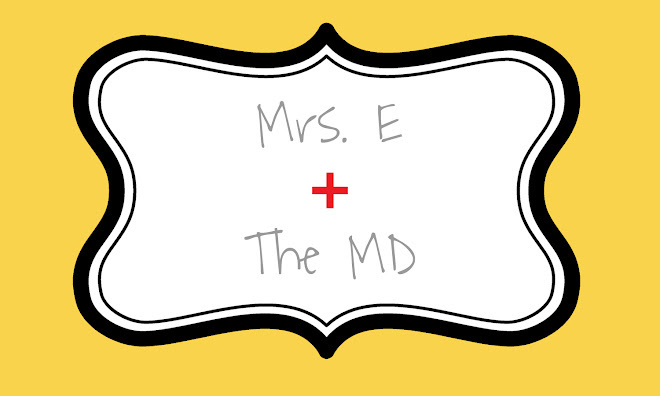 Mrs. E and the MD: 23 Weeks! I only have a few weeks left in the second trimester, which is unbelievable. It was nearly 20 weeks ago when I found out we were having a baby. The baby will be here in only 17 short weeks (and yes, I have heard that the weeks only feel longer from here)! I can't wait to see this little one's face, to know if he is a he or she is a she, to meet the little person who has now learned how to kick me hard enough to wake me up! I found this on another blog, and I thought it would be a fun way to update. I need to do something to keep me distracted and from wanting to buy every cute baby thing I see! Total weight gain: It's hard to tell. I think 17 lbs. Sleep: I am still learning how to master sleeping on my side. I LOVE sleeping on my belly, and I just can't do that! Recently, I have been pleasantly woken up by the feeling of little feet and hands kicking and punching me in the middle of the night! Best moment this week: Luke got to feel the baby kick from the outside. This was a momentous thing! It was a great Thanksgiving Eve gift! Movement: I am feeling it a lot more, and I think I am realizing when the baby is awake and when he/she is asleep. Labor Signs: I sure hope not! Though I know of a lady who just delivered twins at 24 weeks. They were under 2 lbs each. They are OK for now, but I can't imagine delivering this early. Belly Button in or out? Getting close to being just even with my belly...not in or out. But still in at this point. Cravings: I am not craving sweet stuff as much. I just want salt and LOTS of water. I drink well over 100 oz a day. What I miss: I miss going out for drinks with friends, or drinking at social events. I don't know why I miss this. It sounds like I am an alcoholic, which I am not. I just really enjoyed social drinking, and now I have been pregnant for 3 weddings, 1 Homecoming, 2 Halloween parties, 1 birthday party, and I am getting ready to be pregnant for a whole bevy of Holiday festivities, including Thanksgiving, Christmas, New Year's and St. Patty's Day. :-) I know my trade-off is so much better than a little buzz from a drink, but sometimes you just want to partake like the big kids! What I am looking forward to: Feeling more movement and other people being able to feel the baby from the outside.